Like new inside as home was re-built in 2016 on the original foundation from 1987. Interior boast great room & split bedroom floor plan with neutral paint, crown molding & convenient tilt windows. Large picture window w/ 2" blinds offers natural light. Matching Stainless Steel Whirlpool appliances: stove, microwave, dishwasher & refrigerator. Pantry cabinet in laundry room & lazy Susan in kitchen provides additional storage for the cook. Owner suite offers 2 closets & nice size master bath w/ double sinks. Granite vanity in 2nd BA. Partially fenced backyard with privacy fencing and some chain link. Small creek at the rear trickles or can be a babbling brook after a good rain. Walk the neighborhood loop or enjoy sitting on your back patio. 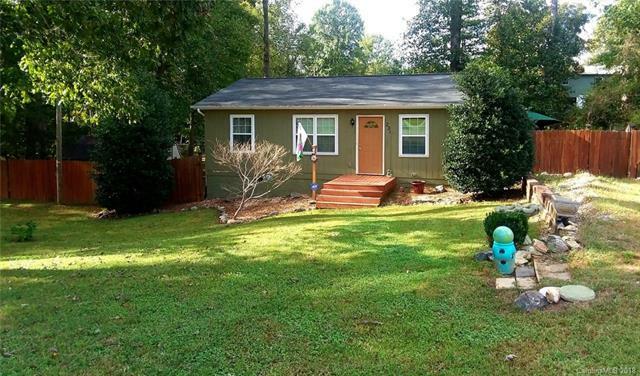 Conveniently located near Troutman, downtown Statesville, Lakewood Golf course & the airport. Storage building & crawl gives space for storage. Come see this lovely home & bring us an offer! Sold by F3 Realty And Construction, Inc..